What a beautiful story about the very best of humanity ...in the most very worst of circumstances. Heather Morris took four years of notes about the life of Lale Sokolov and turned into a story of love, friendship and the struggle amidst the horrors of Auschwitz concentration camp. There are many survivors of the Holocaust that are getting to the age where their story will become lost due to time and age… so this was a very powerful story worth telling. 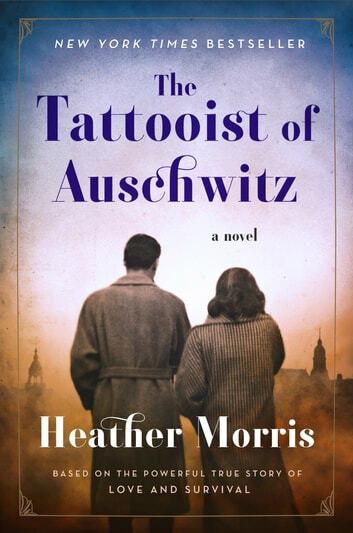 One thing that did sadden me was the tale of Ms. Morris saying Lale held his story in for over 50 years because of the fear that he and Gita might seem as collaborators of the Nazis and how fast he wanted to be back with his beloved Gita. I have to commend Ms. Morris for a wonderful telling of the story… She did a beautiful job! Love historically correct stories based on real people. Heather Morris captures the spirit of love and optimism in an abominable world. She handles the intimacy of love and the horrors of the concentration camp with perfect amount of sensitivity. A true “love can conquer” story.